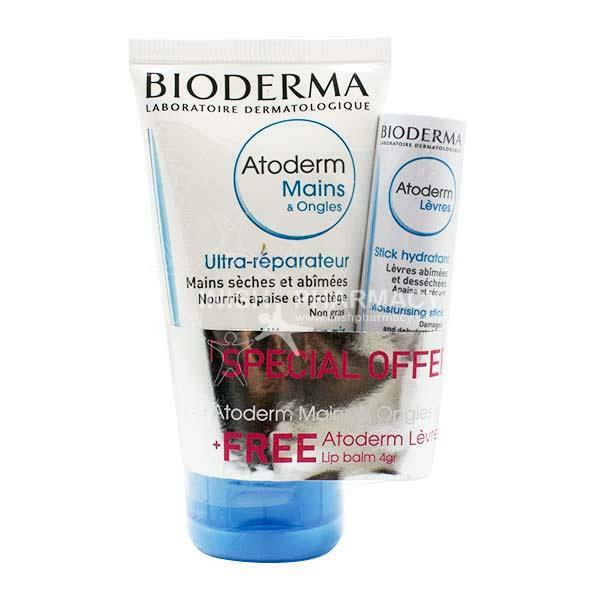 The Bioderma Atoderm Ultra Repair Hands and Nail cream is a light weight formula that aims to help dry and damaged hands and nails. This ultra-repair cream works by nourishing, calming and protect the skin and nails. This rapidly absorbent cream is suitable for sensitive skin. Free moisturising stick is also included.